Day 2: Paddleboarding/Snorkeling. Paddleboard or kayak out to Indiana key for a picnic lunch with some history and snorkel the crystal clear waters. We’ll make our way back through the mangrove tunnels behind Robbie’s and see an assortment of wildlife. Day 4: Skateboarding & More. We’ll shred Marathon Skate park, or maybe stand on a skateboard for the very first time. Guest skaters will teach us basics of skating, and give a demo of what is possible. After lunch we’ll give a little something back and do a mangrove clean up while searching for hidden trasure, followed by celebratory Pizza Party. Parents and siblings welcome. Day 5: Sailing / Kiteboarding. We’ll play with the wind! Talk about wind theory before heading out on Hobies to a sandbar to have fun with kites and skimboards. 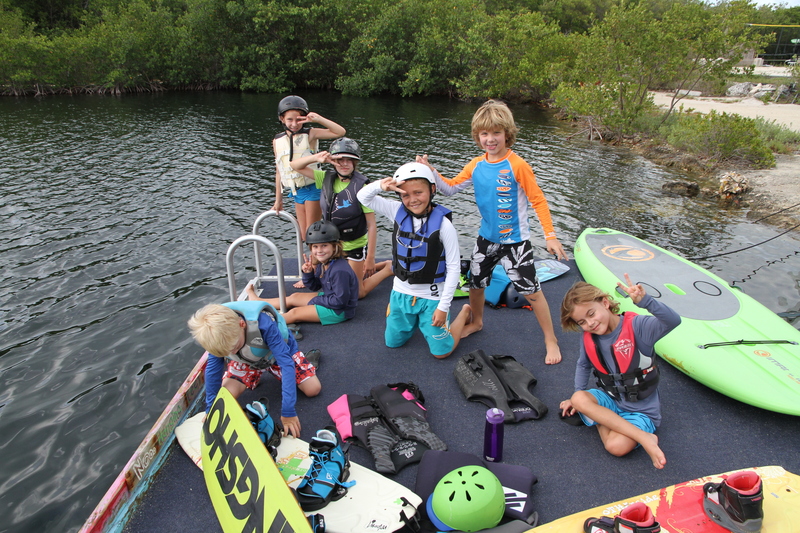 Certified sailing and kiteboarding instructors will teach your child how to harness the wind!